Whether you smoke pot or not or believe in recreational legalization – Prop 64 is a long, poorly written bill that does not accomplish what pro-pot claims it will. Let’s count down to number one, the 8 reasons you should cast a No vote on marijuana legalization. 8. 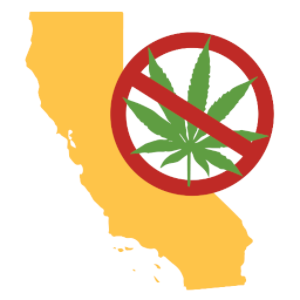 “Inevitability” has already happened – to the question, “aren’t we just postponing the inevitable, by voting no?” – Pot is legal in California today – everyone in California that wants to or believes they need to smoke can do so under our medical marijuana laws. 7. Small possession is only an infraction (less than a traffic ticket)- If your buddies can’t be bothered to spend the $25 for a medical marijuana card, they risk virtually nothing – California has had the most lenient possession laws in the country since 2010. 6. Prop 64 isn’t going to raise significant revenue. “Sin” taxes historically do not generate large sums. Look at alcohol and tobacco tax revenue last year – $367M and $84M, respectively. California has a $110+ billion budget – $451M is only .0041% of revenue –this is not a game changer. Also, Prop 64 allows regulators to reduce the tax rate it sets after one year; many will still buy with their medical marijuana card where no tax is collected; many will continue to buy from existing suppliers where no tax will be charged; some will grow their own. 4. Organized crime dominates the Marijuana Industry in every state. It’s fantasy to think the market leaders (organized crime) just pack it up and go home now that pot is legal – they thrive under the veil of legalization. They operate quite comfortably outside the new laws, just like they did with the old laws. It’s dangerous. If your employed by Organized Crime or a competitor they do carry guns, for real. 3. Anyone interested in the pot industry, should focus on perfecting the medical marijuana laws passed by congress October 2015 –called MMRSA (Medical Marijuana Regulation & Safety Act) – it provides a real (and bi-partisan) framework for potentially bringing pot out of the shadows and making it a legitimate player. To date, no state including California has gotten organized crime out of the Marijuana Industry. Perhaps California can, with MMRSA, enough money and the will and support of our state legislature. Further, Prop 64 scrambles portions of MMRSA – making pot more unmanageable. 2. Marijuana potency is getting stronger every day. This is not a debate about whether marijuana is good or bad for you, but science is settled on the fact that it’s bad for younger developing brains. The younger one starts using marijuana, the greater potential this increase in potency has to inflict harm and addict. 1. The number one reason to vote no on Prop 64 – is because it is not fair. 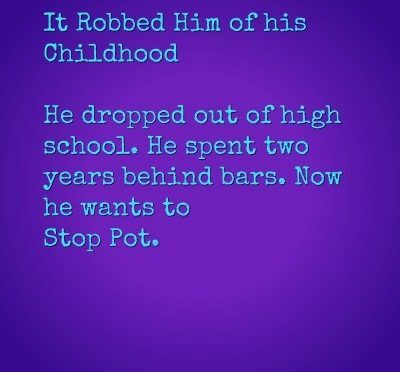 Yes, you could find pot when you were younger, but you had the privilege of growing up in communities that were not awash with marijuana. No constant skunky-garlicky smell wafting from home grows. 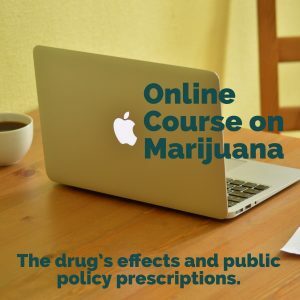 No marijuana advertisements – on TV, Radio, Instagram or Twitter. No huge companies telling you to “just do it” or that “you’ll never smoke alone with x-brand of pot.” You never went to homes where pot was growing or the candy could actually hurt you – permanently. 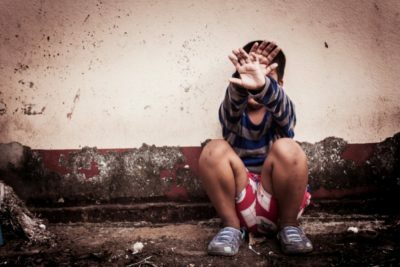 It’s too selfish – don’t inflict this horrible living environment on your little brothers and sisters or the generations to follow. Watch these 18-25 year old film-makers in So Cal – who understand what the proliferation of edibles means to them and their friends. Official Logo of the No on 63 campaign. The latest poll of Proposition 64 shows soft support of the measure and highlights how quickly support changes depending how the message is given. Of the five states with marijuana legalization on the ballot in 2016, California is the only state in which support for legalization leads in the polls. Legalization ballots lose badly in Massachusetts and in Arizona, according to recent polls. It is a statistical tie in Nevada. Smith-Johnson Research conducted a poll of 500 likely California voters by cell and land lines, August 17-19, 2016. The margin for error is +/-4.4%. 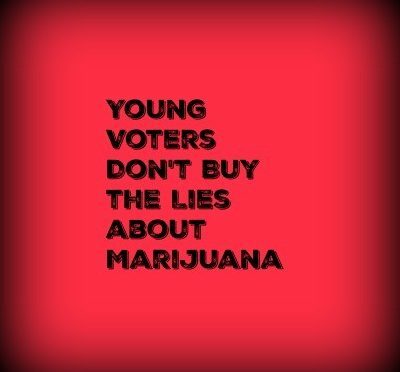 Support for legalization drops once voters hear one fact — Proposition 64 will allow marijuana smoking ads in prime time, and on programs with millions of children and teenage viewers. Voters heard the description of Proposition 64 two different ways. In the second ballot, they were told of a ruling by the Sacramento Superior Court about advertising. Opponents to Proposition 64 may state there’s the possibility of television ads promoting marijuana smoking and edibles on prime time television. The change from the first to the second poll was dramatic, shifting from majority in favor to majority opposing. The second ballot yielded 43% support compared to 52% oppose. In each case, the interviewees asked, “If the election was held today, would you definitely vote for Proposition 64, probably vote for Proposition 64, probably vote against Proposition 64 or definitely vote against Proposition 64. These results of this new poll shows the fluidity of vote and the softening of the support. Support soften as voters begin to hear more about the actual details of the measure. As in other surveys on this issue women continue to be skeptical about Prop 64. In this latest statewide test only 49% of likely women voters are “probably” or “definitely” supporting the measure. Here’s a description of the new poll with complete description of the questions.